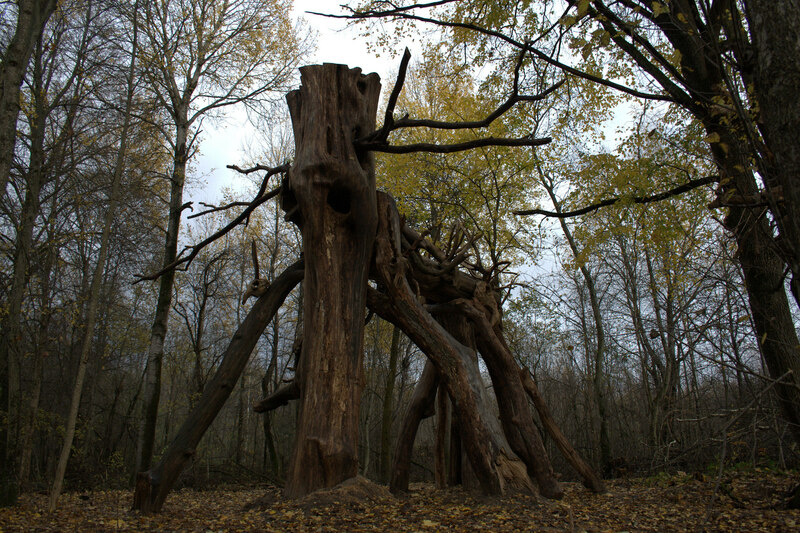 The project refers to the ancient history of the territory of Nikola–Lenivets. 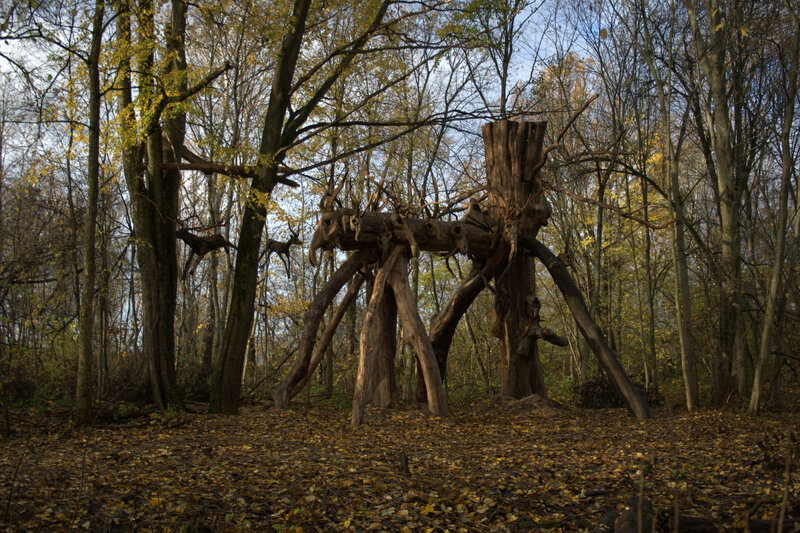 In a forest clearing Nikolay Polissky creates an artistic interpretation of the Sanctuary , which plunges us into the atmosphere of ancient rituals. 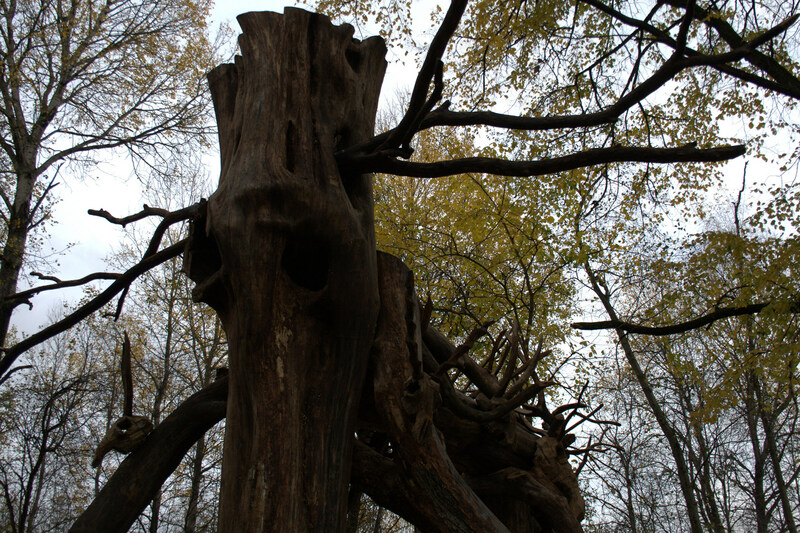 Ancient Balts did lived on the site, where the installation is made, in the late iron age. The archeologists got all the evidence, recreated what was on the blueprints, and drawings. But in order to imagine the people, their life – it’s not enough. Too little remained, and it was too long gone. And probably far from scientific research images, you can create an illusionary connection with that camp, where once lived the ancient people. 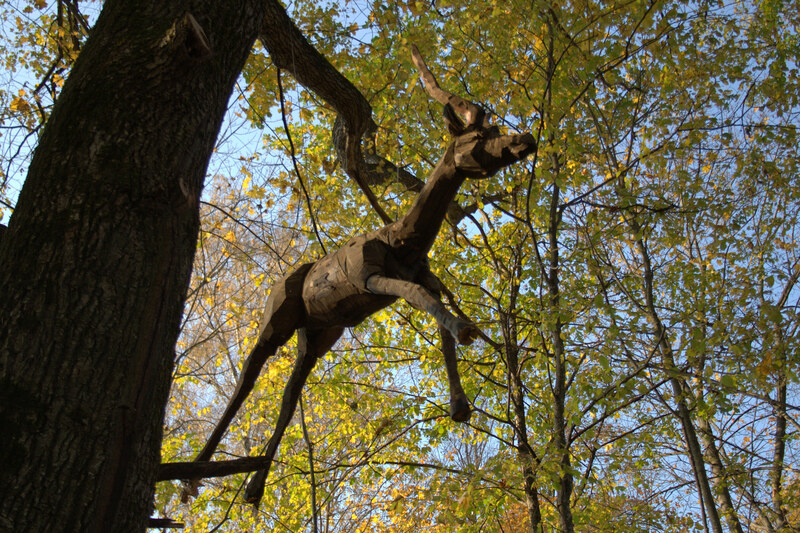 The spatial installation by Nikolay Polissky and his studio, the Nikola–Lenivets Arts and Crafts, is located in the forest, the site of the Settlement. 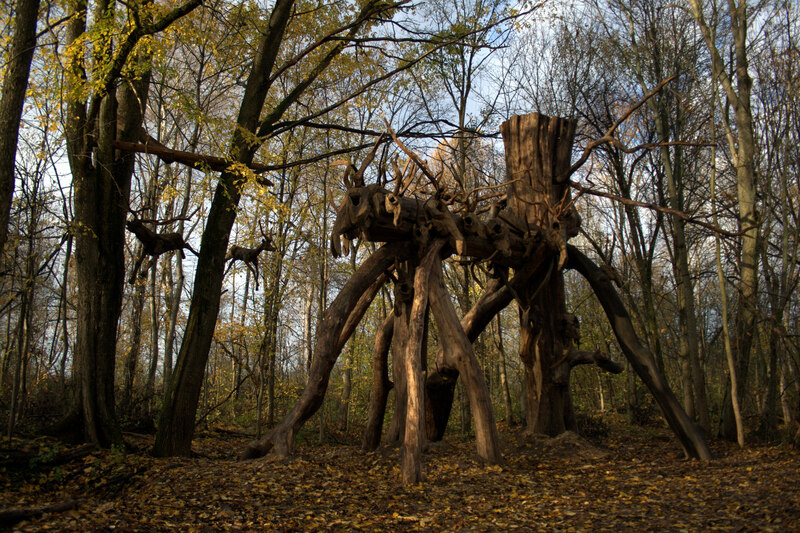 Polissky uses the whole Arsenal of his experience: he uses natural materials, large grotesque form, and coarse technique; as well as interprets as images of rock art and the aesthetics of artists of the late XIX century, which has recreated images of ancient people and their culture. The camp has long been overgrown by forest, and the random passer-by would have guessed that once lived here. There’s nothing left. Contemporary art in this project plays a amazing role. There where not cope archeology or history, it creates a vivid illusion of memory and that withstands time, which tries to pull the Parking of ancient people into oblivion.